Transformer oil's main problem is the moisture and gas, tiny particles in oil, these contaminants will cause big problem to the oil and to the transformer, even for new transformer oil, during the transport, the oil will be contaminated by the air, and moisture in air, a little bit moisture can make the transformer oil unqualified. So it is very important and necessary to purify oil before use it, and do a regular oil filtration work for the transformer oil after every week or month, depends on your occasion and the external environment. 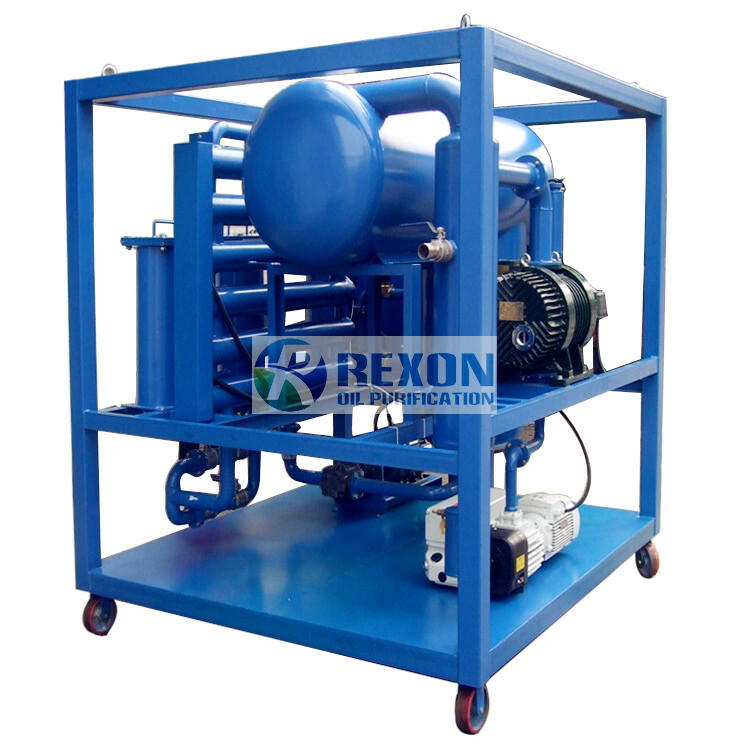 REXON Transformer Oil Purification System can help you solve your transformer oil problems easily. It can remove the moisture, air, gas and particles from your used transformer oil high efficiency and completely. Under a regular oil purification process, your transformer oil will be always kept as new.